With more than 5000 kilometers of coastline, almost 1300 islands, and pristine blue sea, it's easy to understand why Croatia is considered a holiday paradise. From the Istrian Peninsula in the northwest to the Prevlaka peninsula in the southeast, Croatian Adriatic coast is home to many unique and beautiful cities, as well as staggering nature and impressive sights. Rich history filled with colourful cultural influences from north, south and east, is interwoven into the foundations of towns such as Pula in Istria, with its Roman remains, Zadar, home of the world-famous Sea Organ, among other peculiarities of this ancient town, or Dubrovnik, the celebrated pearl of the Adriatic. It is not easy to pick just one town on the Croatian Adriatic coast and say that it represents Croatian history and heritage since each and every one is special and unparalleled in its own way. To get to know them and to explore their stony streets, hidden alcoves, peaceful ports or busy markets, is to discover the true beauty of this patch of land stretching for almost 1800 kilometres along the crystal blue waters of the Adriatic sea. And when we add to this equation a myriad of islands, isles and islets, scattered all over the Adriatic, with their beautiful beaches, lonely lighthouses, white rocks that blister in the summer heat and tranquillity of the island life, it becomes clear why Croatia is such an attractive travel destination. 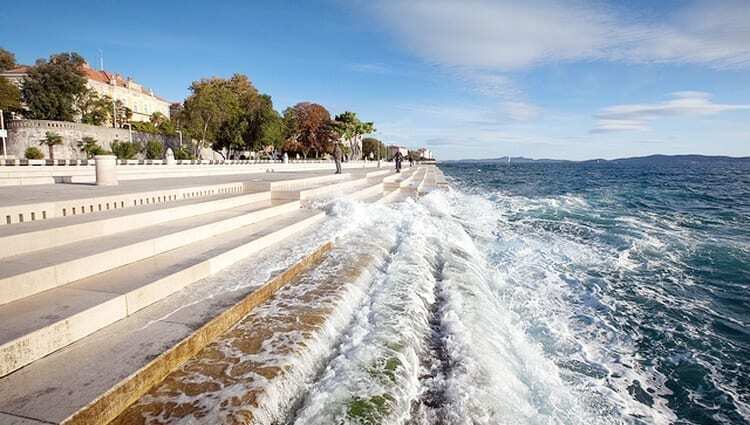 Croatian shores are one of the cleanest in Europe, with more than a hundred beaches having earned blue flag status for their remarkable cleanliness on land and in the sea. That is mostly because Croatian beaches are generally covered with rocks, water-smoothed pebbles or gravel, although there are few lovely sandy beaches for those who can’t resist the feeling of sand between their toes. If you are sailing or yachting, you wouldn’t want to miss the sheltered Sveti Ivan beach covered with white pebbles and located on the island of Cres. 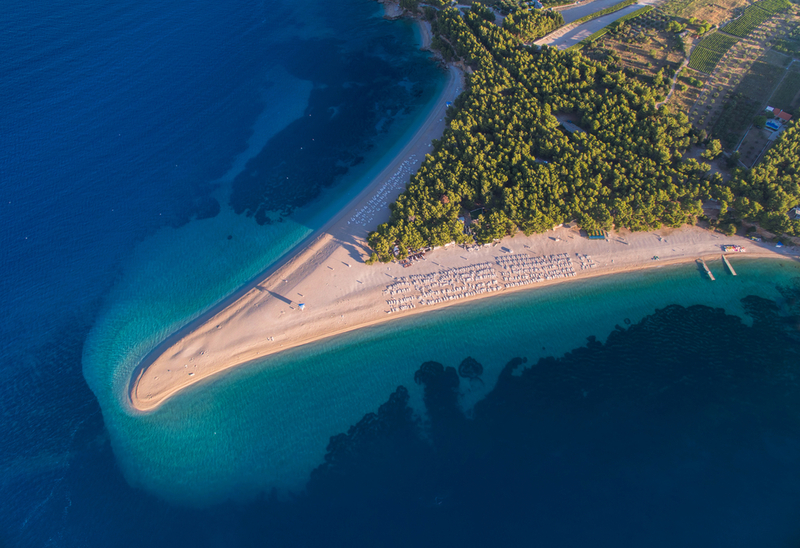 A bit further south, on the island of Rab, have a swim at one of the most famous beaches on Adriatic, Rajska plaža (Paradise beach), with calm and shallow waters perfect for families. A little more southern and this time on the mainland is the town of Nin and its luxurious Kraljičina plaža (Queen’s beach), which offers so much more than lazy sunbathing and swimming. Being at the foot of the Velebit mountain, winds are constantly sweeping across the beach which is why windsurfing and kitesurfing are very popular activities. And when the tiredness after the partying and surfing kicks in, spread peloid mud all over yourself and relax in the sun. People all over Europe come here to try this natural treatment for sore joints and muscles. The most photogenic beach on the Croatian Adriatic is Zlatni rat on the island of Brač, with its constantly changing tip that extends far into the turquoise sea. Magnificent views are also offered by Punta rata beach at Brela, on the Makarska Riviera, where the Biokovo mountain range rises protectively above it. Finally, the coveted Stiniva beach, on the island of Vis, is easily accessible from the sea, but is also perfect for the adventurous types who like to hike. There isn’t a single type of Croatian cuisine. Every region is specific not only geographically and historically, but also gastronomically. 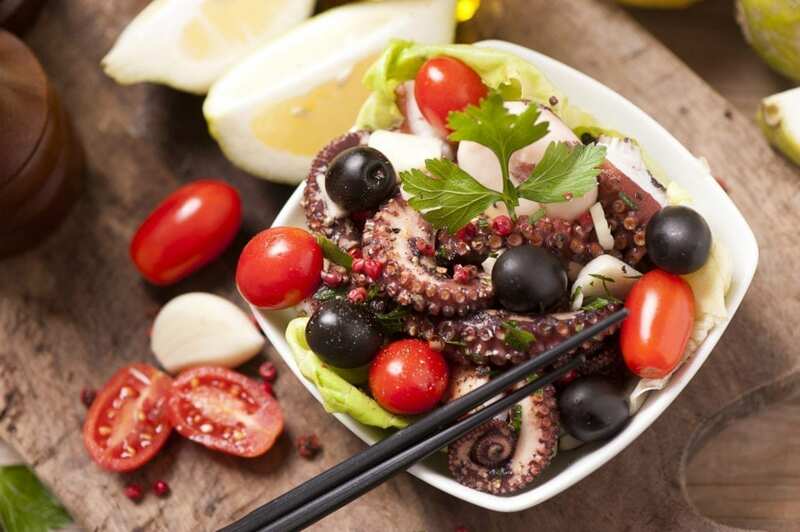 Even northern and southern parts of the Adriatic coast have slight differences in food tastes and preparations, but both form part of the lauded Mediterranean cuisine, celebrated for its health benefits. While the cuisine of Istria and the Kvarner region represents a blend of inland and coastal influences, the Dalmatian coast and islands are influenced mainly by Italian cuisine with light food which includes a lot of fish and seafood, as well as plenty of vegetables. 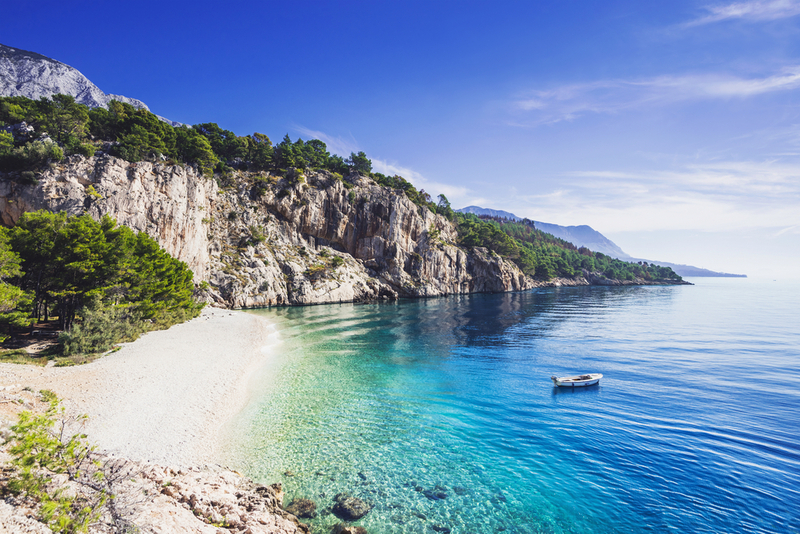 Croatian Adriatic coast is especially famous for its world-class olive oil. The history of Croatian wines dates back more than 2500 years and the wine is as famous as the olive oil. 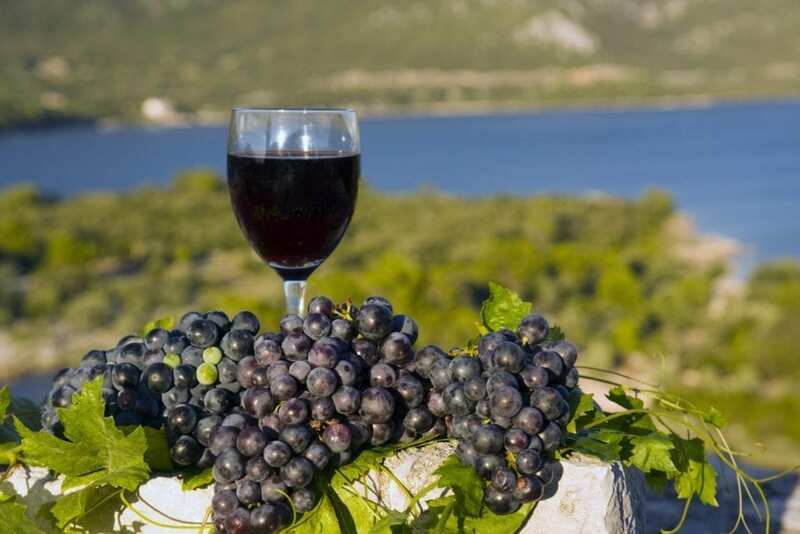 The Adriatic coast is the best known Croatian wine region, mostly because of its Mediterranean climate which is particularly well suited to wine production due to hot and dry summers, and mild and wet winters. Istria is known for its Malvazija white wines, as well as dry reds Teran. The best known Dalmatian wines are Plavac mali, Pošip, and Babić. No one can be indifferent to the sheer variety of landscapes Croatia offers. With nearly 10% of the country under protection, and having eight national parks, two strict reserves and eleven nature parks, Croatia is one of the ecologically best-preserved parts of Europe. 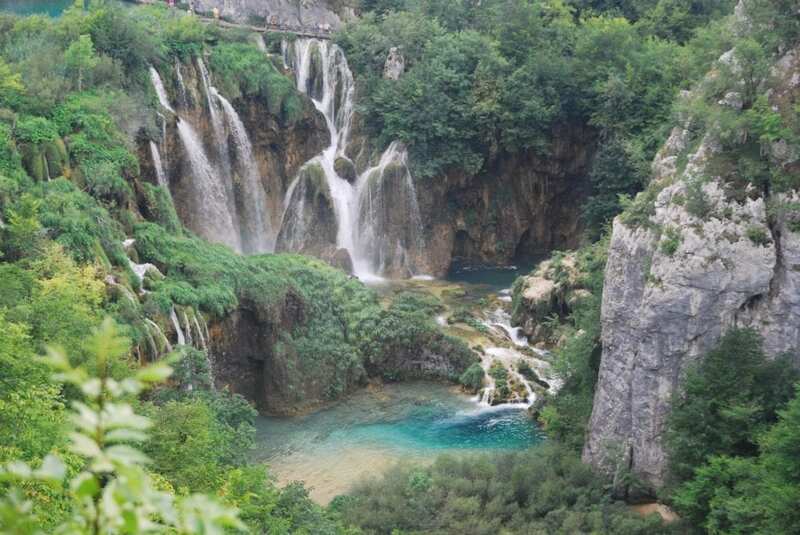 The most famous protected area is the celebrated Plitvice lakes, a UNESCO World Heritage site, as well as the oldest national park in Croatia. Croatian tradition is as varied as its food and as rich as its history, with the largest number of protected cultural phenomena by UNESCO in Europe. Among others, these include Sinjska Alka, a knights’ tournament held since 1715 in Sinj, in memory of the victory of the town’s defenders against the Turkish army, and klapa, traditional Dalmatian a cappella singing in celebration of love, sea, homeland and, of course, wine. The best experience of the Croatian Adriatic coast can be achieved by boat. A local camp can be a base for one-day excursions by boat to experience the beauty of Adriatic and explore the more remote and uninhabited islands, such as the beautiful Kornati archipelago. If you’re looking for a perfect location that is both a holiday spot and a starting point for exploring the Croatian coast, book your stay in Camping Village Šimuni!